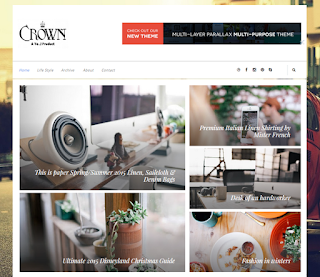 Crown Blogger Template is a clean and Light Weight blogger template design that gets rendered very quicky and it is optimized for All small Devices. We have also provided a detailed documentation file which will help you to get familier with all the tweaks needed while installation process of this blog template. It is an easy-to-use blogger template, A perfect fit for Bloggers, Content Providers, Magazines etc. who need a beautiful yet powerful platform to showcase there work.